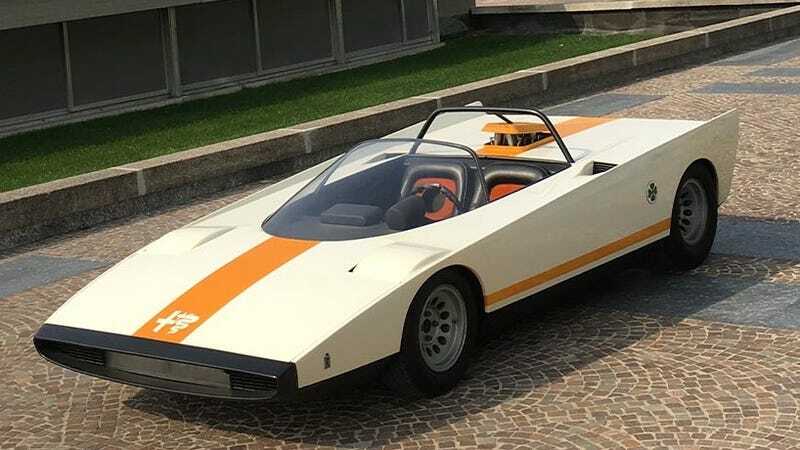 The Alfa Romeo 33 Spider Cuneo was a Paulo Martin-designed concept unveiled at the Brussels motor show. Based on the Tipo 33 race car, the concept has a fully functional 230 horsepower 2-liter V8, and weighs just over 1400 pounds. It looks like the kind of car a Speed Racer antagonist would drive. Or a brick of cheese. Really fast cheese.